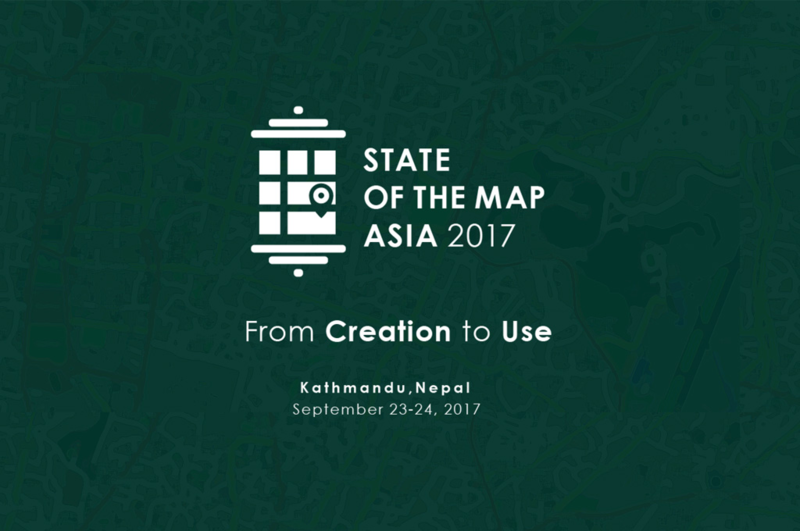 We invite you to join State of the Map Asia 2017 on September 23-24 in Kathmandu, Nepal. State of the Map Asia (SotM-Asia) is the annual regional conference of OpenStreetMap organized by OSM communities in Asia. The first SotM-Asia was organized in Jakarta, Indonesia in 2015, and the second was organized in Manila, Philippines in 2016. This year’s conference, the third in the series, is going to be organized on September 23 – 24, 2017, at Park Village Resort, Budhanilkantha, Kathmandu – an oasis of tranquil greenery in the midst of Nepal’s crowded urban Kathmandu. The event aims to bring together around 200 OpenStreetMap enthusiasts from Asia and beyond. The event will provide an opportunity to share knowledge and experience among mappers; expand their network; and generate ideas to expand the map coverage of the Asian continent. The theme we have chosen for this year’s meeting is ‘from creation to use’ of OSM data. This theme has been chosen as in the last decade there has been significant growth in the amount of data generated, however Asia still lags behind several other continents in terms of making use of this data. We believe that this decade will see a dramatic growth in the geospatial sector and in the ways people will utilize OSM data. Furthermore, this event will deepen the bond and enhance collaboration among the scattered OSM communities of the largest continent. You can refer to http://stateofthemap.asia for more details and updates. The conference will feature remote keynote address from Kate Chapman (Chairperson of OpenStreetMap Foundation), and keynote speeches from Dr. Lee Schwartz (Geographer of the United States of America) and Prof. Taichi Furuhashi (professor at Aoyamagakuin University and President of CrisisMappers Japan). We are proud to announce that one of the major highlights of this year’s State of the Map Asia will be 15 country presentations, representing all regions of Asia (Central, Eastern, Northern, Southern, South-Eastern and Western). The conference will also feature presentations ranging from Creation to Use of OpenStreetMap Data and several parallel sessions featuring speakers working in diverse fields such as disaster, governance, entrepreneurship and fine arts. Finally, a special government panel, featuring high level government officials from Southern Asia, will discuss creation and use of OSM data and how government is working to officially recognize OSM data as a source of service delivery. Kathmandu Living Labs, this year’s conference hosts, has been able to secure full scholarships for more than twenty OSM Asia community members and an additional five partial scholarships. The conference is free to attend for all OSM community members, and registrations can be made using this form. Park Village Resort, the conference hotel, has provided discounted conference rates for participants. Conference rates apply only for registrations made through this form. Autumn is one of the best seasons to visit Nepal. Dashain -Nepal’s most celebrated festival- also falls during this time and we encourage all people to participate in the festivities after the workshop. We are looking forward to see you in Kathmandu on September 23-24, 2017! This entry was posted in Regional State of the Map conferences on September 12, 2017 by Dorothea.